Knee joint axis disorders as valgus or varus knees. An orthesis with a static, resting action. Intended for day or night use. It stabilizes the entire lower limb in extension and affects on the knee joint correctively. 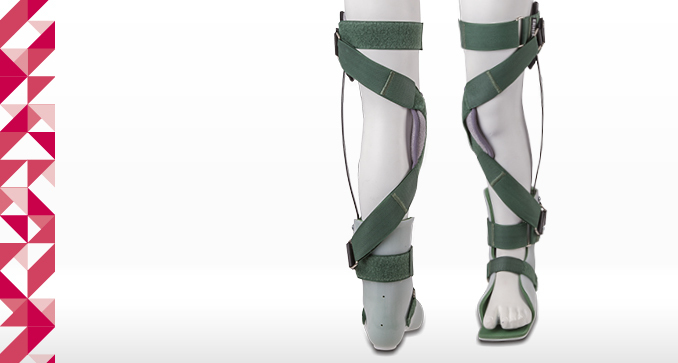 The orthosis is available as: – VALGUS – Valgus correction. Splint on the outer thigh. – VARUS – Varus correction. Splint on the inner thigh. 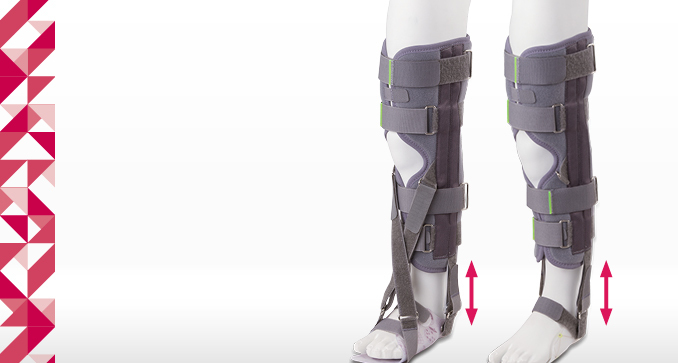 In order to adapt to the patients height the orthosis can be extended in its upper part. Soft foam in the foot part protects the foot from bruising during use. 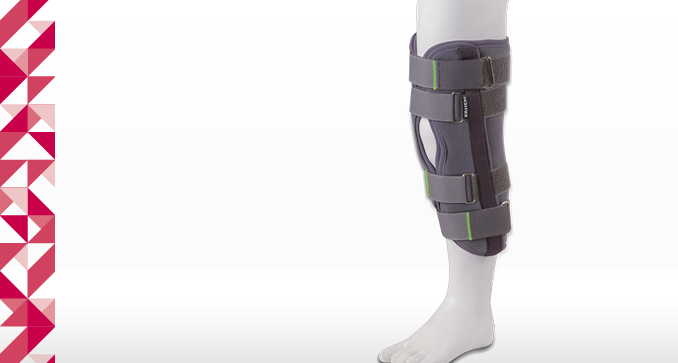 Changing the length of the tapes of the knee joint pad increases the corrective action.